Calling for action on the most critical safety issues facing Canada’s transportation system, the Transportation Safety Board of Canada (TSB) released an updated Watchlist. For aviation, all three existing issues remained on the list: Landing accidents and runway overruns, Risk of collisions on runways (runway incursions), and Collisions with land and water (CFIT). One issue was added, namely Air safety management systems. Transport Canada must effectively monitor the integration of SMS practices into day-to-day operations. Moreover, SMS practices need to be adopted by all companies. In bad weather, pilots need to receive timely information about runway surface conditions. Furthermore, airports need to lengthen the safety areas at the end of runways or install other engineered systems and structures to safely stop planes that overrun. 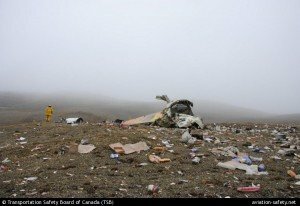 Improved procedures and the adoption of enhanced collision warning systems are required at Canada’s airports. Improved non-precision approach procedures, along with a wider use of technology, are required to reduce the number of this type of accident.